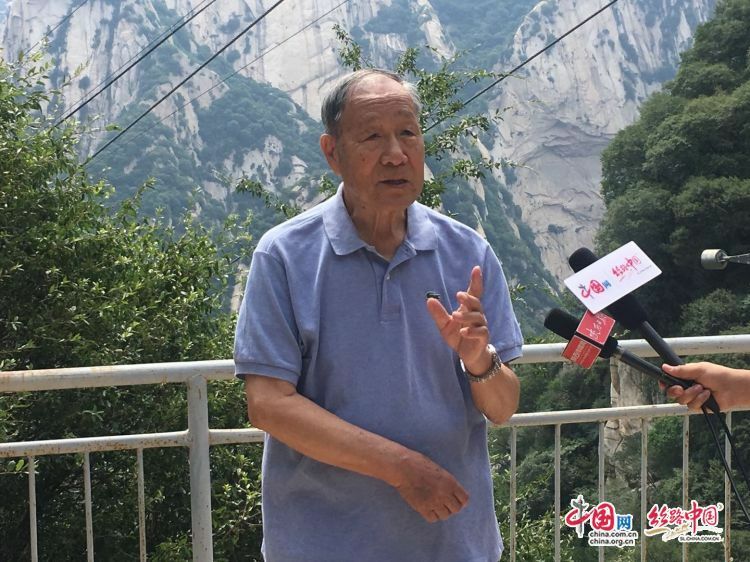 Message from china.com.cn (ZhouTong) Since there is only one passage on the Huashan Mountain fromancient time, Shaanxi Taihua Tourism Ropeway Co., Ltd. borrowed a road from theheaven and opened up a new road on the west peak of the Huashan Mountain, builtthe first single-line circulating hanging ropeway characterized by thecliff-cut chamber-style, undulating walkways, and intermediate stations in theworld to connect steep mountain roads with a rope with a length of more than4,000 meters. 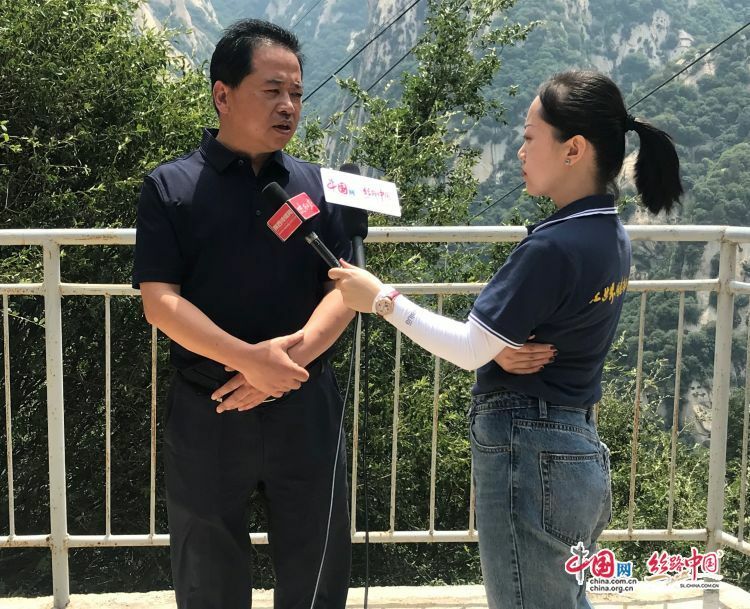 On the morning of June 15, Brilliant (Brillianc of Shaanxi) New Era Pilot the NewSilk Road – The theme interviews with the theme of " Voiceof Shaanxi ,Via Which We Communicate With The World" opened the theme activity of“Strive ahead and dare to take responsibility”. The interview group walked intoShaanxi Taihua Tourist Ropeway Co., Ltd. to experience the “heavenly”adventure, madeconversion with the builders and managers and realized the spirit of theirgreat responsibility, greatness, and craftsmanship. It is understood that Taihua Ropewayhas gone through a period of ten years from exploration, design, constructionand installation. It has gone through hardships, risks, twists and turns,difficulties, and trials. However, Taihua Ropeway still overcome this “hardbone” and built the world-class passenger ropeway with a length of 4,211 meterswith great craftsmanship spirit. It is understood that Taihua Ropewaywas built and operated in April 2013. 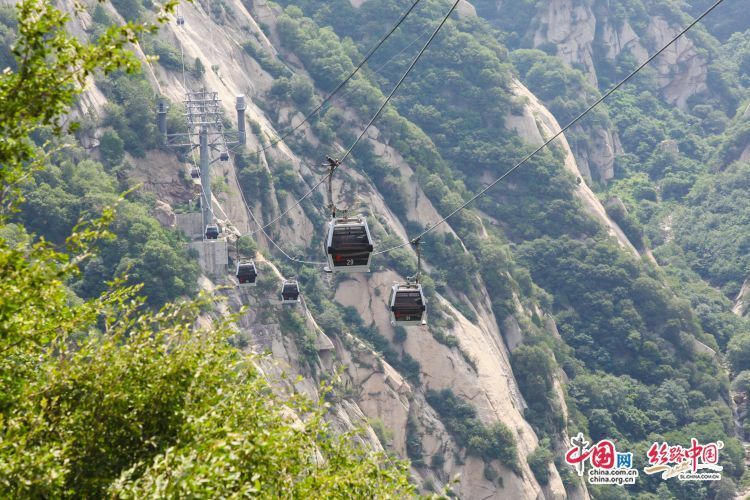 Today, this ropeway has far exceeded thefunction of transport means, and also becomes an excellent sightseeing ropeway.The natural scenery of the unique Xifeng ropeway and Huashan Mountaincomplement each other, making Huashan Mountain tourism alive and full ofvitality. It has played a pivotal role in creating an international tourismbrand, building the eastern gate of Shaanxi, and playing the leading role intourism in the province.